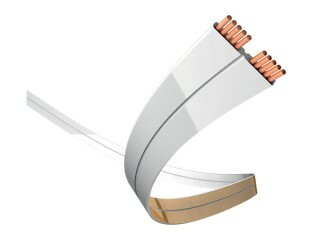 Enlarge The super flat speaker cable with ten separate insulated solid conductors made from OFC copper ensures tight and precise sound transmission. 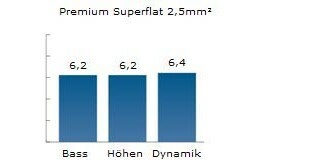 Easy to lay in tubes under the carpet or behind the skirting boards. On the wall with the white side, on the parquet floor with the brown side. Practical with a great sound. 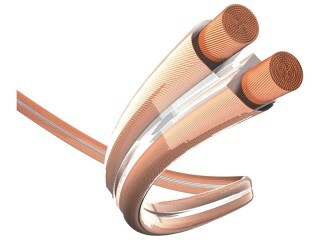 Enlarge The flat speaker cable with its very fine, braided (not stranded) wires is extremely compact and lexible. It can be perfectly laid under carpets or behind skirting boards. Ideally suited for Surround systems. 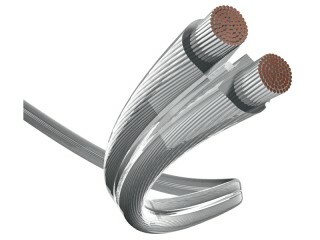 Enlarge The Premium speaker cable Silver has a silver-plated conductor for optimised high frequency reproduction. Enlarge The Premium speaker cable brings delight to sophisticated music connoisseurs as well as professional users with its outstanding features. 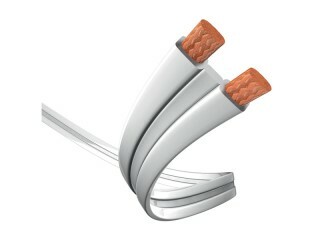 This robust cable ensures rich performances. 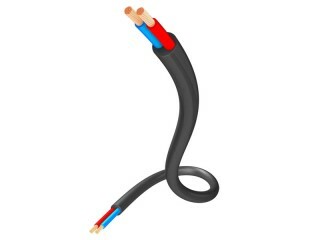 Enlarge Special halogen-free and flame-retardant loudspeaker cable for the installation sector. Laying this durable cable is very user-friendly thanks to its rounded design. The strands, made of 0.25 mm thick wires, are easy to wire up and deliver high-power audio effects.